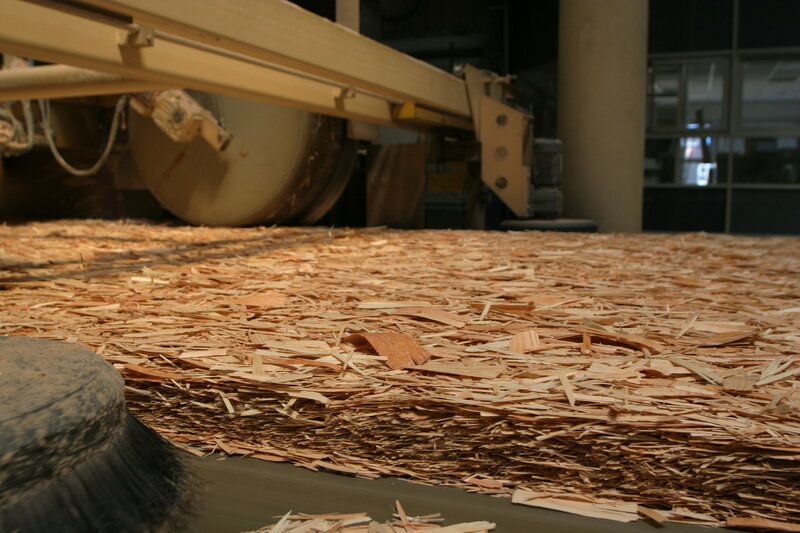 Advanced sensors and controls can help the wood products industry in the Northwest and other energy intensive producers improve the efficiency of their operations. The Northwest Regional Manufacturing Center led by Pacific Northwest National Laboratory will advance smart sensors and digital process controls and speed adoption by industry as part of the newly announced Smart Manufacturing Innovation Institute. RICHLAND, Wash. — Advances in smart sensors, digital process controls and information technology could radically reduce energy use in manufacturing and improve manufacturing productivity in the Northwest. The Department of Energy's Pacific Northwest National Laboratory will lead the Northwest Regional Manufacturing Center — a public/private partnership that is part of a national Smart Manufacturing Innovation Institute. President Barack Obama announced the institute on June 20. The regional center will advance and implement smart manufacturing technologies in the Northwest over the next five years and beyond. "The idea is to fast track development and adoption of smart sensors and other technologies, providing manufacturers the information and tools that will allow better energy management," said Mike Rinker, PNNL's manager of energy efficiency and renewable energy. The effort will initially focus on the Northwest's energy intensive manufacturing industries: food processing, advanced materials, metals processing and wood products. The center will partner with experts from Washington State University, University of Washington, Oregon State University, Oregon BEST, Montana educational institutions, Bonneville Power Administration, industry partners and a host of other organizations across the Pacific Northwest. Nationally, the Smart Manufacturing Innovation Institute, led by the Smart Manufacturing Leadership Coalition, headquartered in Los Angeles, will assemble over $140 million in combined public/private investments to revolutionize smart manufacturing for energy intensive, clean energy and energy dependent industries. The Northwest Regional Center will apply SMLC's advanced software platform to integrate sensing and instrumentation, data visualization and analytics, real-time process monitoring, control and optimization, and predictive modeling and simulation technologies to improve manufacturing in the northwest. "We will have the opportunity to use the software platform to reduce energy used in manufacturing and deliver more energy efficient technologies," said Rinker. "A large focus of the center will be to transfer the technology from those who have developed tools and technologies to those companies who can use them in the manufacturing process." The regional center will also focus on test bed demonstrations with industry in the Northwest. The center anticipates that industry participation in this regional center will grow as both small and large companies in the Northwest ramp up efforts in smart manufacturing. Read more about the President's announcement of the Smart Manufacturing Innovation Institute.